Meet Parity Productions, the new theater company with a most innovative mission - Art and Advocacy. We're thrilled to show you the new "us". We've combined the operations of Works by Women and VH Theatrical Development Foundation into one powerful platform - all to create increased opportunities for women and transgender people in theater. Our launch was May 16th at a private home in Gramercy Park with brief previews of Village Stories by Antoinette LaVecchia and She Calls Me Firefly by Teresa Lotz - two of the works we are developing for 2016-2017 and a reading of Gregory Murphy's Household Words at The National Arts Club. Read some of the press about our launch here and here. One of the things that makes Parity Productions different is our advocacy initiatives: our Annual Parity Commission which awards two commissions per year to two promising female or transgender playwrights, our Support for Qualifying Shows, and the industry's only Women and Transgender Artists Database. out of every $10 we make from The Parity Store goes to supporting our annually commissioned artists - we call it our 10% Pledge. So, please be sure and tell friends and colleagues about it and share it on Twitter and Facebook. 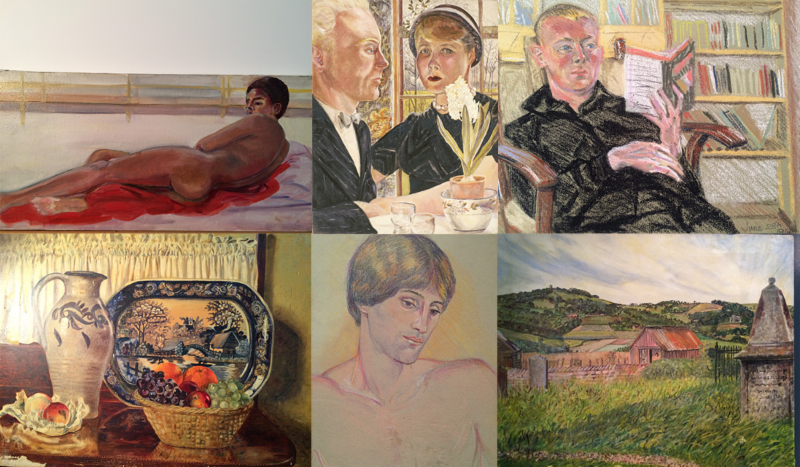 Parity Productions is also thrilled to announce that we have been given an unprecedented gift from the estate of the Sylvia Sleigh - the famed, Welsh-born artist whose work hangs in The Tate, The National Portrait Gallery in London, The Chicago Institute of Art and more. These rare works will be available on the parity store as part of a major fundraising initiative. See the gallery here. We look forward to sharing more about our productions and advocacy soon.